Turn dough onto a floured surface, pat into a square with about 2in thickness. Cut into six squares, place 2-3in apart on a parchment paper-lined baking sheet, then bake until puffed and cooked through, about 20 minutes. In the meanwhile, melt remaining butter in a small pan, then mix with honey and rosemary. 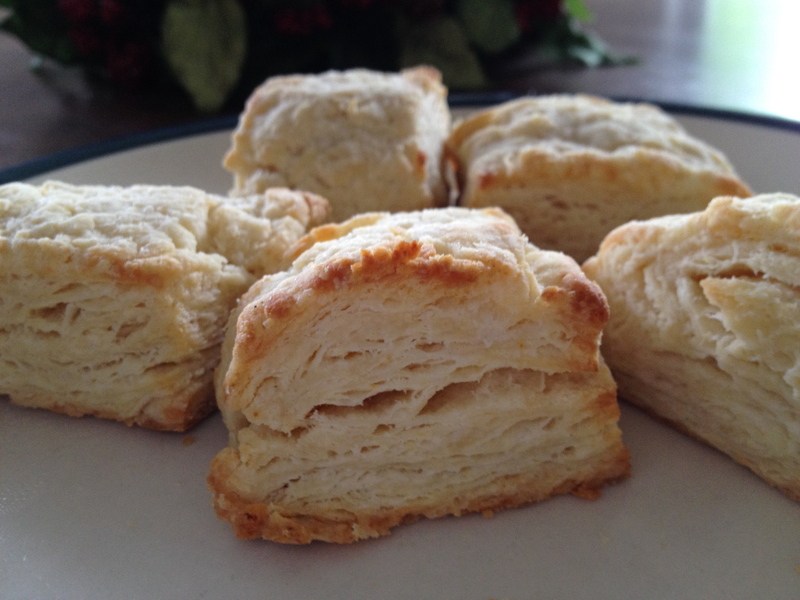 Brush over hot biscuits, then return to oven until golden brown, about 10 minutes. Preheat oven to 400F and line baking sheet with parchment paper. Whisk flour, sugar, baking powder, salt, and baking soda in large bowl. Using a box grater, grate frozen butter into bowl and mix gently with your hands. Add buttermilk and stir until large, craggy clumps form. Using hands, knead just until mixture holds together. Turn dough onto a floured surface, then shape into a square with about 1/2-3/4in thickness. 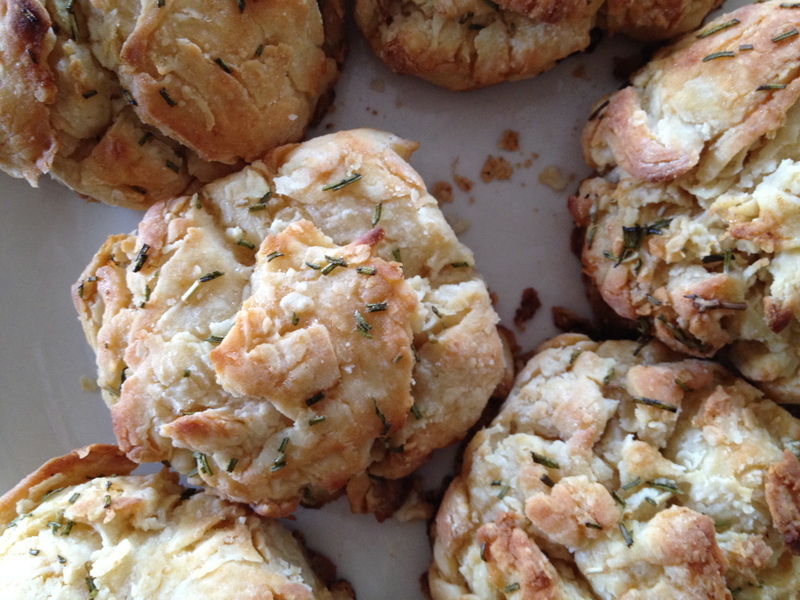 Cut into six squares, place about 2in apart on baking sheet, then bake until golden brown on top, about 12-15 minutes.